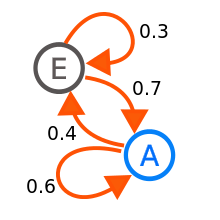 ^ Norris, James R. Markov chains. Cambridge University Press. 1998. ^ Prasad, NR; RC Ender; ST Reilly; G Nesgos. Allocation of resources on a minimized cost basis. 1974 IEEE Conference on Decision and Control including the 13th Symposium on Adaptive Processes. 1974, 13: 402–3. doi:10.1109/CDC.1974.270470. （原始内容存档于2015-02-12）. ^ Hamilton, James . A new approach to the economic analysis of nonstationary time series and the business cycle. Econometrica (Econometrica, Vol. 57, No. 2). 1989, 57 (2): 357–84. JSTOR 1912559. doi:10.2307/1912559. 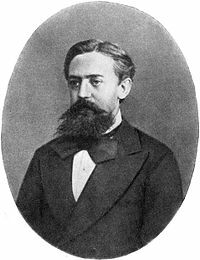 A.A. Markov. "Rasprostranenie zakona bol'shih chisel na velichiny, zavisyaschie drug ot druga". Izvestiya Fiziko-matematicheskogo obschestva pri Kazanskom universitete, 2-ya seriya, tom 15, pp 135-156, 1906. J.L. Doob. Stochastic Processes. New York: John Wiley and Sons, 1953. ISBN 978-0-471-52369-7. Markov chains used to produce semi-coherent English.